Dear friends in Christ of the Diocese of Lancaster and beyond! 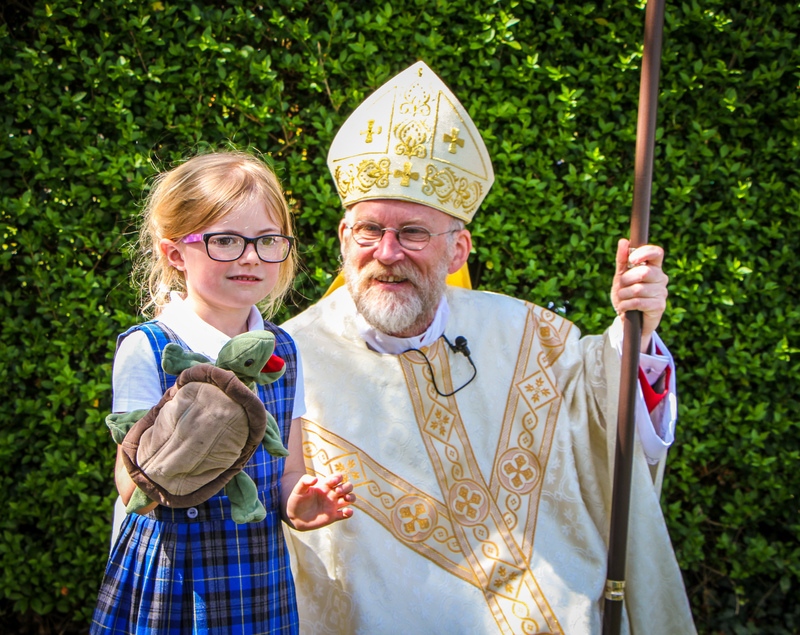 With the retirement of Bishop Campbell the Bishop’s Blog took a well-earned rest. 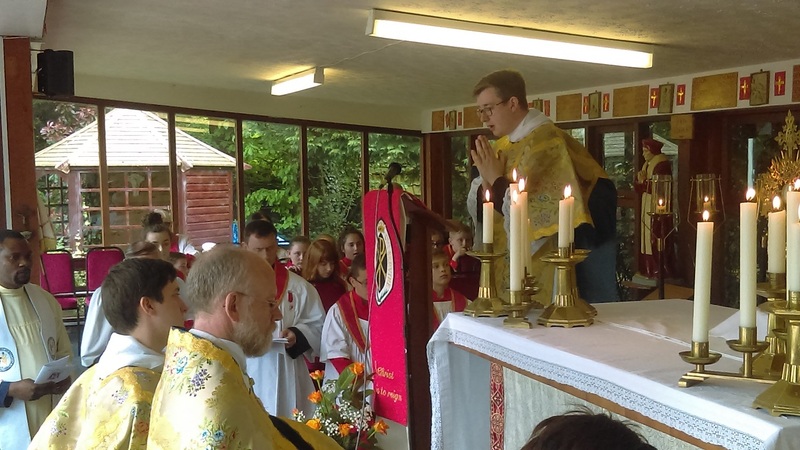 Now is the moment for it to recommence as we approach Pentecost. 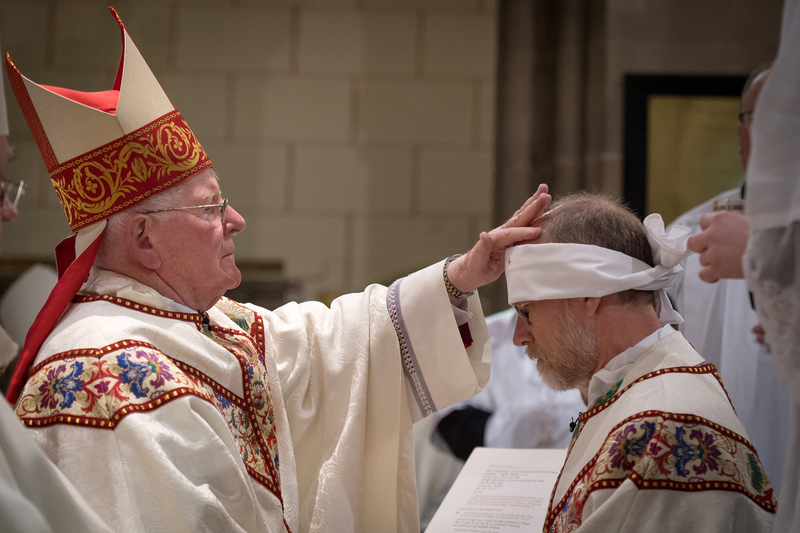 The Ordination on 9th April 2018 remains a vivid memory, one that will be with me for the rest of my life. 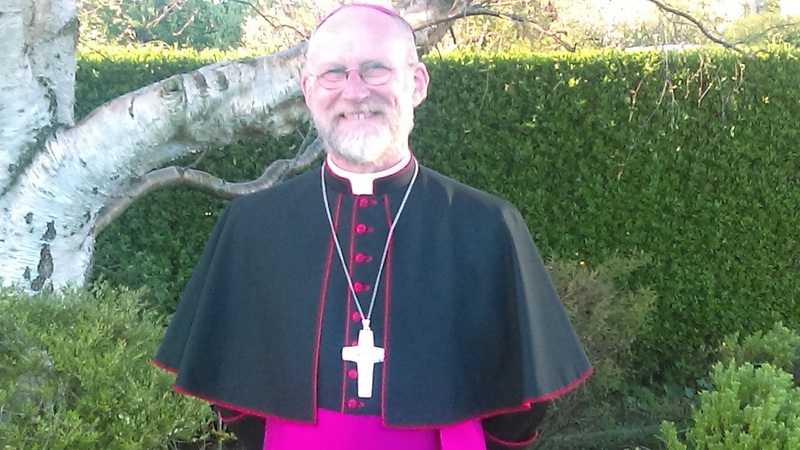 That day I was very proud of the Diocese of Lancaster and honoured to be chosen by Pope Francis to be your seventh Bishop. Read the full homily here. 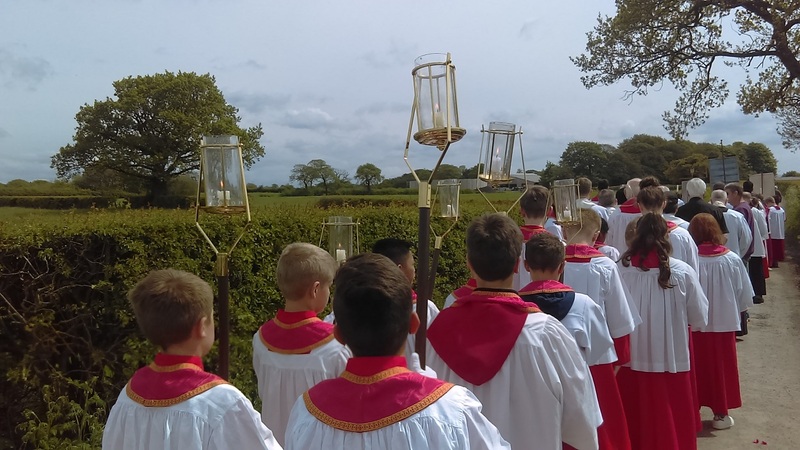 Saturday 12th May was the Diocesan altar servers Pilgrimage to Ladyewell. The sun shone. Numbers were good. Old friends met and new friends were made. 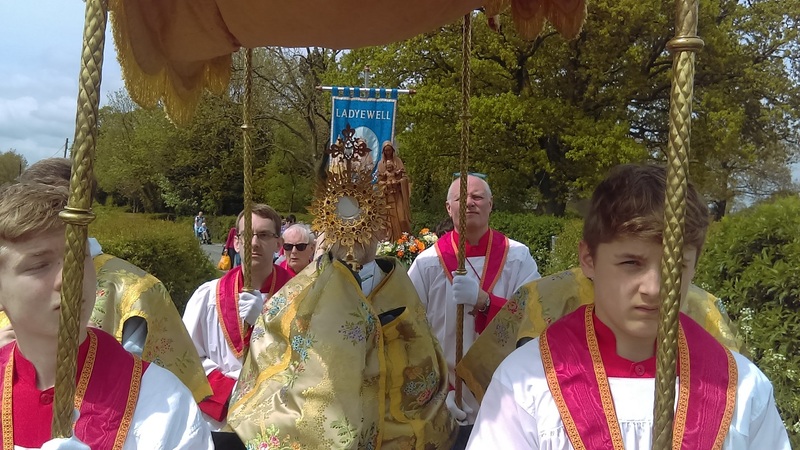 This was a fitting occasion with which to re-start the Blog, with the Blessed Sacrament procession to the beautiful wooded shrine of Our Lady. 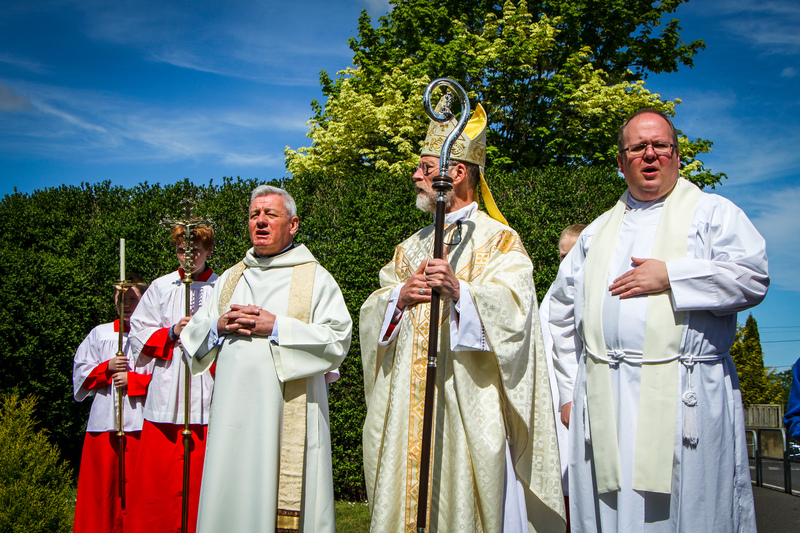 Following Benediction refreshments were available in generous measure. A great day indeed. Sunday was an emotional day for me. Fr. 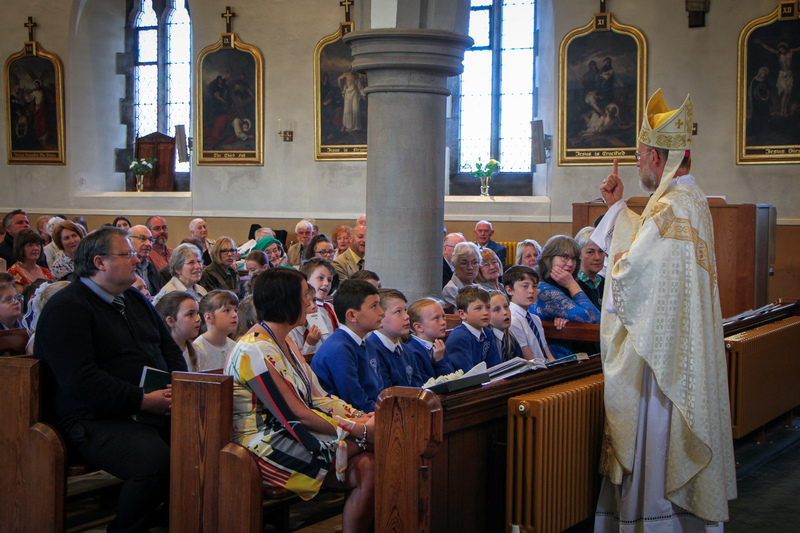 Butler and parishioners of Garstang and Scorton had invited me to celebrate Holy Mass in my home parish. The sun continued to shine! 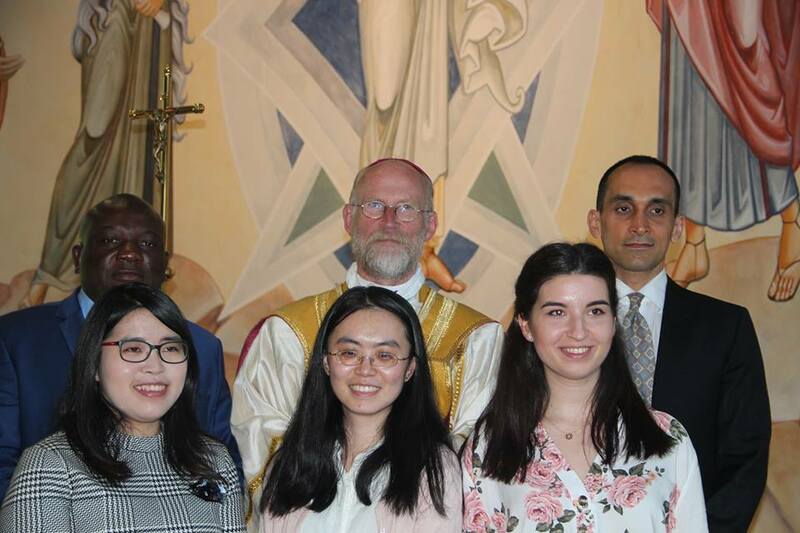 After a beautiful Mass in the packed church the school children led us to the Marian grotto where Mary was crowned with blossoms, as in the old hymn! Following refreshments and time to talk I took a few quiet moments to pray at the grave of my parents and grandparents. 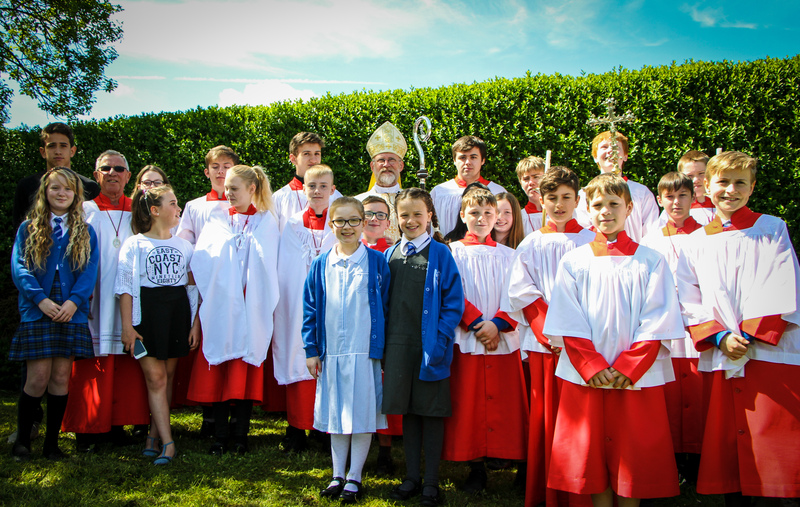 The evening found us celebrating Holy Mass at the Lancaster University chaplaincy. 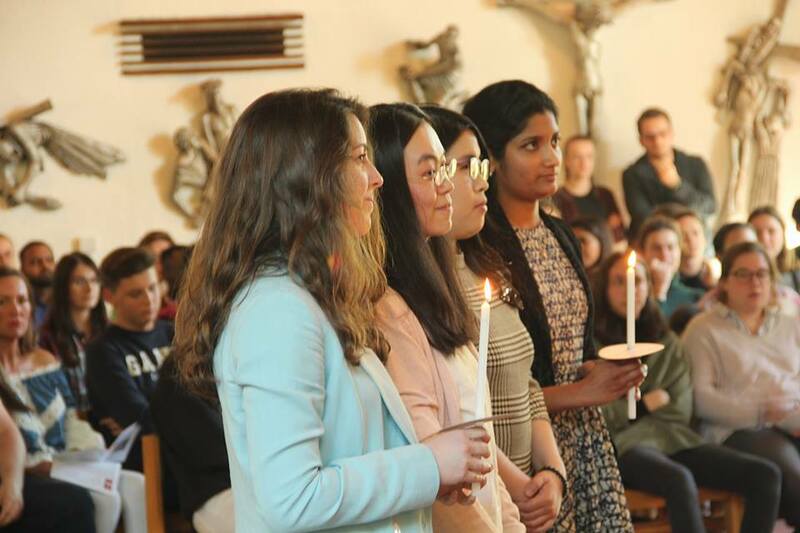 A full chapel witnessed two students baptised and six confirmed. Exam time will always tend to boost numbers! But this enthusiasm for faith is no passing fad. 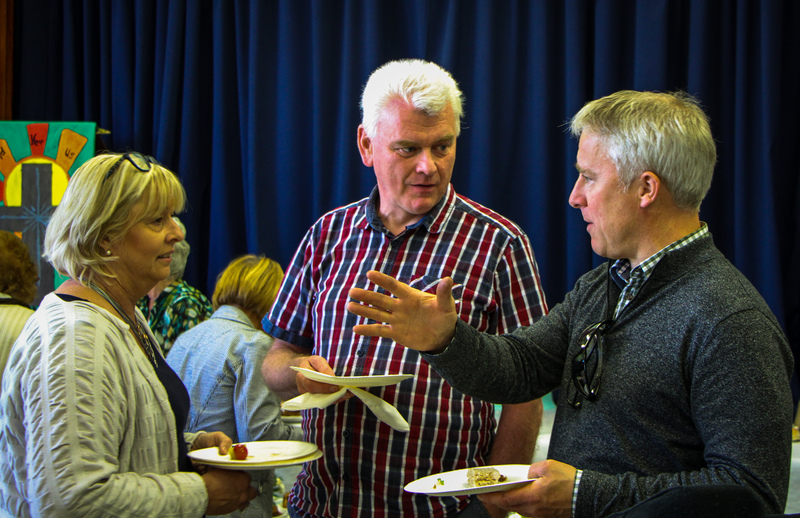 Following Mass there was rich conversation to be had as well as lots of cake in the chaplaincy rooms. Tuesday morning saw me blessing two pairs of walking boots ceremonially planted on the Bishop’s desk. 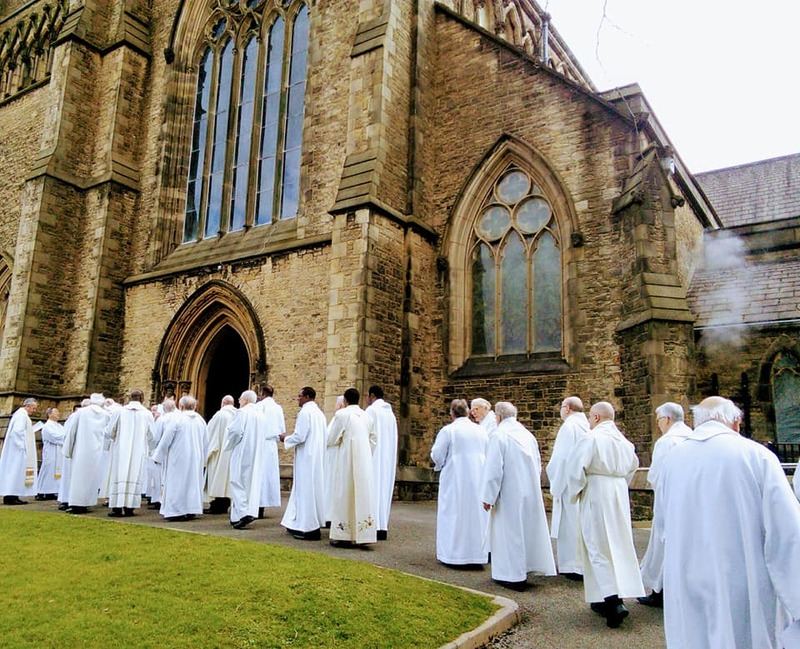 Caroline Hull and Bridget Huddleston of Aid to the Church in Need North West office are setting out on a walk to several Catholic Cathedrals in the North of England, beginning with Salford Cathedral. The walk is to raise awareness and funds for Iraqi Christians. 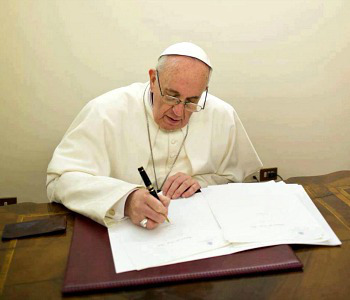 A quiet gift for me has been the publishing of the Holy Father’s latest Apostolic Exhortation, Gaudete et Exsultate on Holiness in our lives. Personally it appears to confirm my choice of motto, Sanctitas praeter pacem; Holiness before peace. Often, we can feel far from peaceful, yet at such times it is good to know that God, the Holy One, is still very close to us. 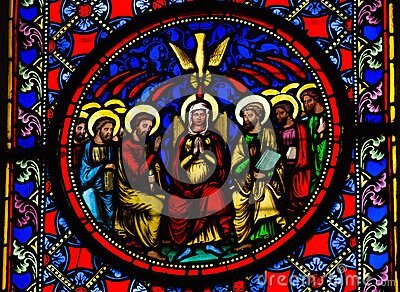 And so, we prepare for the great Feast of Pentecost!